From a brainy beach book to a dishy history of Marie Antoinette, the Pulitzer Prize-winning journalist and author shares some beloved books. Her appearance was a national obsession long before fashion mags or blogs. From the height of her hair to the height of her heels, Marie Antoinette's appearance was a national obsession long before fashion mags or blogs. Weber argues that she used personal style to gain power and influence. This is the rare historical account that is both dishy and illuminating. It’s fashion as political statement—and a thoughtful revisionist history of the much-maligned queen. A beach book for the serious reader, this is Dickens without 19th-century constraints. A beach book for the serious reader, this big doorstop of a tale about a Victorian prostitute named Sugar is narrated in a knowing voice so intimate it feels as though the entire story is whispered in your ear. I've recommended it constantly since it was published in 2002, and no one has ever been disappointed. It has indelible characters, a social conscience—and an unputdownable yarn. The first of the first-rate Paddy Meehan series, in which our heroine finds her newspaper job on a collision course with her clannish Irish-Catholic community. The price of all that plotting in most mysteries is the absence of good prose. Mina is a true stylist, and her unkempt and all-seeing heroine is one of those vivid protagonists who seem more like someone you know than someone you're reading about. Portrait of a lady in a Southern logging camp during the Depression. Beautifully written, utterly unforgettable. To my mind, this novel, as powerful and inexorable as a thunderstorm, is as good a piece of fiction as was published last year and a new classic in the category of love gone terribly wrong. 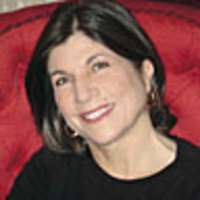 Anna Quindlen is the author of five bestselling novels, including Rise and Shine, and Blessings, and numerous nonfiction works including How Reading Changed My Life. Until May 2009, she wrote the column "The Last Word" for Newsweek.